SYNOPSIS: use of subject as informant in aforementioned case; investigation of suitability for involvement in further covert operations; assessment of political and social allegiances. Warning: subject may look relaxed, but he rarely drops his guard. FUNCTION IN NARRATIVE: CATAGONIST. HEROPUSS. CATPANION. CATSCALLION. CRYPTONYMS: That Darn Cat, Puss, Mister C, De Kat, Die Katze, Cat Man, Le Chat, Matou, El Gato, O Gato, Kotchka, Pusa, Kissa, Kedi, Neko, Mao, Ko-Yang-Ee, REDACTED. AGE: Exact age unknown, but subject is evidently a fully mature male. 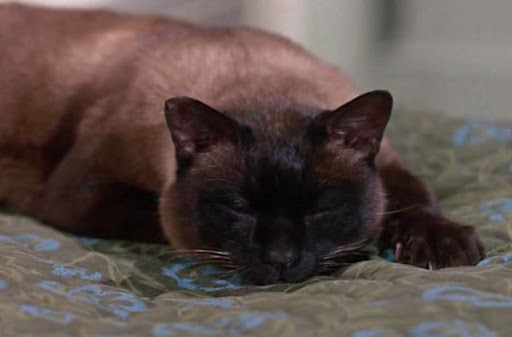 DESCRIPTION: Seal-Point Siamese. [ETA Subject’s Asian ancestry and possible links to regimes in the Democratic People’s Republic of Korea (North Korea to you, Agent Kelso) and Myanmar require further investigation.] Eyes blue. Black fur streaked with tan and white. Exhibits enhanced abilities in areas of physical engagement such as leaping, prowling, hiding, scratching and miaowing; it has yet to be established whether or not subject underwent black ops training in REDACTED at REDACTED. 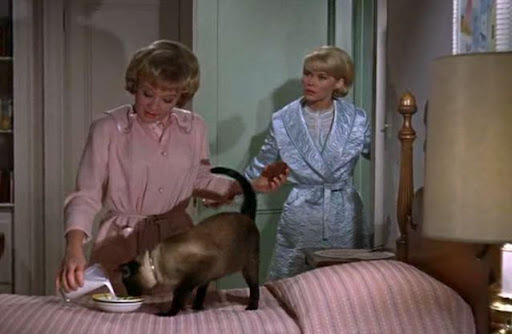 PRINCIPAL CAN-OPENERS: “Patti” and “Ingrid” Randall (aka Hayley Mills and Dorothy Provine). 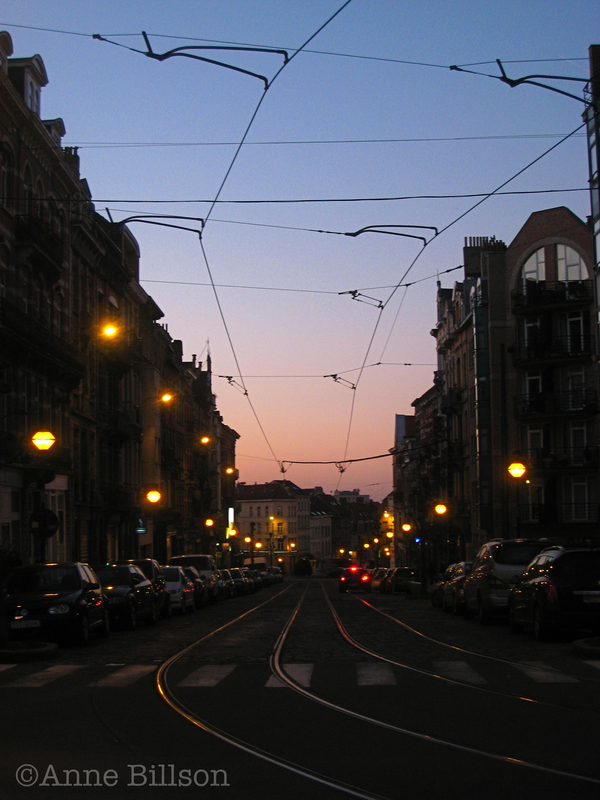 To the casual eye, bubble-headed and boy-mad, but their unusual autonomy (parents allegedly “abroad”) and, in the case of “Patti” (hitherto to be referred to as Can-Opener One) an unfeasible willingness to embroil herself in an ongoing felony investigation and – in particular – her use of an alias when contacting the FBI, strongly imply the girlish scattiness is a disguise; the possibility that Can-Opener One is a very dangerous young woman and in the pay of foreign agencies ought not to be summarily dismissed. Subject discusses strategy with Can-opener One and Can-opener Two. KNOWN ADVERSARIES: Gregory Benson (aka Roddy McDowall), hunter, mother’s boy, dog-lover; “Dan” and “Iggy” (aka Neville Brand and Frank Gorshin), bank robbers and kidnappers. Subject is a master of disguise; here he is, looking like a completely different cat! Subject’s predeliction for fish is also well-known, and was instrumental in leading to the location and capture of the two bank robbers in this case, after one of them purchased a salmon steak and subject duly tracked him back to the robbers’ HQ. Subject’s presence in aforementioned HQ enabled kidnap victim Margaret Miller (aka Grayson Hall) to swap his collar for her watch, on the back of which she hurriedly managed to scratch the first two and a half letters of the word “HELP” (see enclosed file containing photograph of watch). 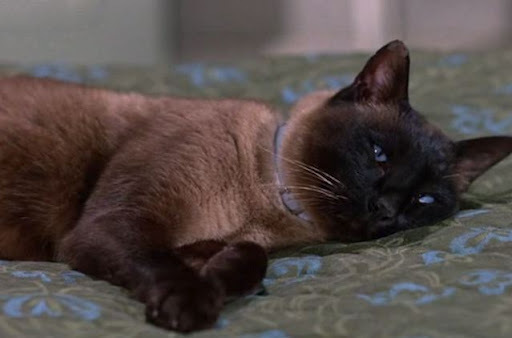 Upon subject’s return to the Randall residence, the scratches were seen by Can-opener One, who brought them to our attention, which is when Agent Zeke Kelso (aka Dean Jones) was assigned to the investigation and subsequently (and at great cost to himself in light of his cat allergy) directed multi-agent nocturnal surveillance of the subject. Subject is in possession of ninja skills and should be approached with caution. Subject further aided our operation by jumping at the head of one of the bank robbers, thus preventing him from using his firearm at a crucial moment during the arrest. It should be noted, however, that subject has also exhibited extreme anti-social behaviour, such as stealing a duck, and subsequently opposing Can-Opener One in a game of tug o’ war with aforementioned duck. Subject is furthermore alleged to have molested Benson’s prize albino fantails, left muddy pawprints all over Benson’s freshly-washed car and dug up Mrs Benson’s tulip bulbs. 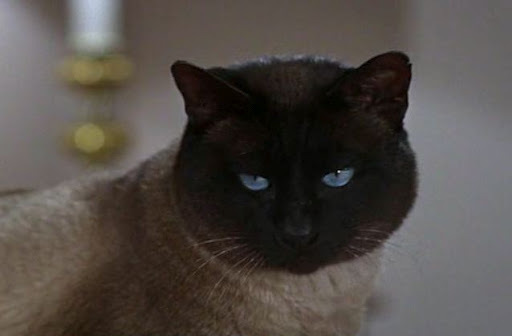 Agent Kelso reports that subject deliberately exacerbated his cat allergy, refused to cooperate by allowing his pawprints to be taken and showed evidence of ninja-like skills in evading surveillance. Also exhibited insolent attitude by playing pat-a-cake with winged insects at the drive-in. 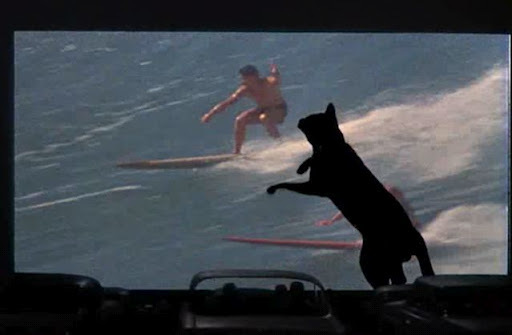 Subject disrupts a drive-screening of Night of the Surfer by playing pat-a-cake. COMMENTS: Subject is a formidable and cunning feline who in future could prove very useful to us in the area of REDACTED, in particular when the REDACTED is in the REDACTED and we don’t want REDACTED to find out. His primary motivation appears to be an ongoing quest for food, and he will stop at nothing – including stalking, theft, dog-bothering and destruction of property – to obtain it. Although, in the case that brought the subject to our attention, he was instrumental in leading to the apprehension of a brace of dangerous armed robbers and kidnappers, his role in the drama is, at best, ambiguous. Subject’s character, in fact, appears to be totally amoral, so that one could imagine, in an alternative scenario, that his actions might well have benefited rather than thwarted the criminals. 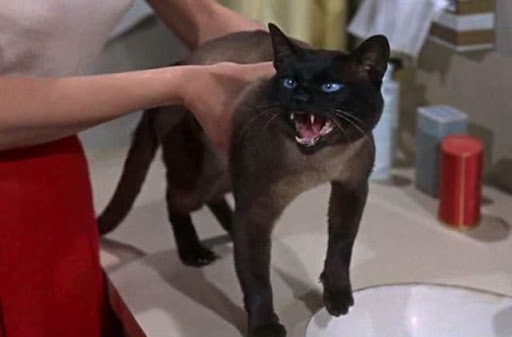 CONCLUSION: 1965-TDC is rare case of a Disney project featuring a feline protagonist who is not in the least bit anthropomophised. 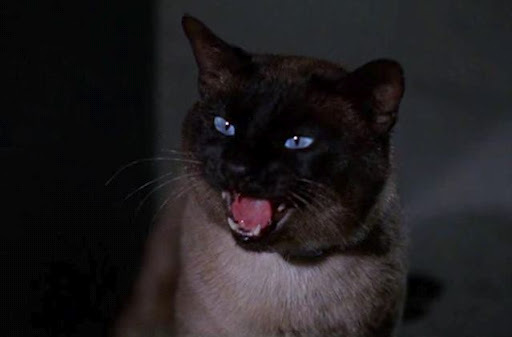 Subject behaves in a catlike manner throughout the investigation in which he is a primary informant, seemingly heedless of the chaos he sows in his wake and indifferent as to the fate of the agents assigned to tail him; whether or not this is incidental or a sophisticated tactic expressly designed to throw us off the scent is REDACTED. Subject exhibits preternatural ability to nap, and a complete lack of moral scruple. The closest subject has come to exhibiting human qualities while under observation is obeying a “Don’t Walk” sign [REDACTED maintains this is unusual behaviour for cats] and later “overhears” and seemingly understands Gregory Benson when he talks about his mother’s old-fashioned method of preparing duck; “She hangs it out on the screen porch for 48 hours before cooking”. Subject was spotted hotfooting it to the Benson house immediately afterwards to steal the bird, and furthermore employing objects such as an foldaway ironing board in order to obtain access, which leads us to suspect he has had specialist training in REDACTED.